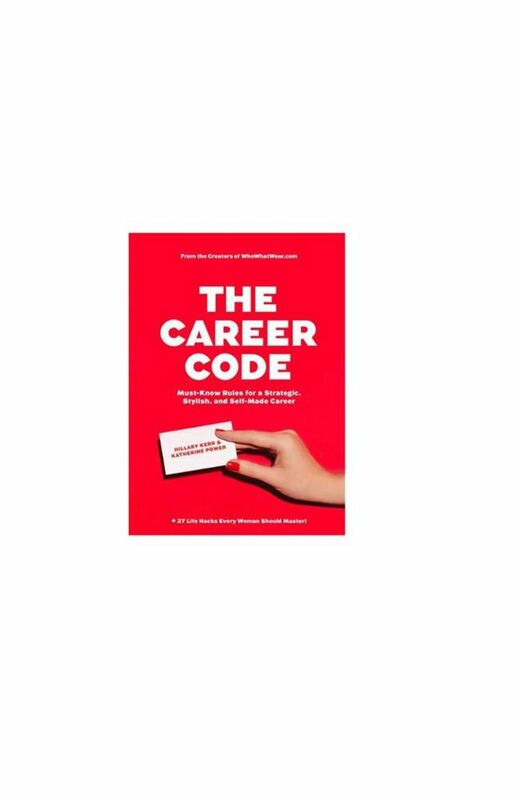 In honour of our co-founders Hillary Kerr and Katherine Power’s latest book, The Career Code: Must-Know Rules for a Strategic, Stylish, and Self-Made Career ($24), we’re running an interview series featuring 17 questions (to parallel the book’s 17 chapters) about the work lives of inspirational female leaders who are at the top of their fields. So far, we’ve tapped Lisa Gersh, Pip Edwards, Kelly Wearstler, and more. Up next? Jane Frances. Many entrepreneurial, and equally creative minds would see a saturated market, like that of the shoe industry and feel a little intimidated about the odds of cutting through. But since launching Dear Frances in 2014, Jane Frances has become the go-to shoe brand for A-listers like Bella Hadid, Kendall Jenner and Amal Clooney, proving that, in a world of fashion, quality craftsmanship still matters . Serving as the creative director and designer of this ever-growing cult label, Frances is asked to wear many hats throughout the day, making her the perfect person to spotlight for this month's Career Code. From the best advice she’s ever received, to the outfit she wore on her first interview, Scroll on to read our interview with the inspiring entrepreneur. As creative director and designer, my days are filled with colour palettes, swatches and sketching. I spend a lot of time at our factory in Italy and visiting suppliers in the region. I also manage our visual communication and social media accounts. No two days are ever the same, my job is extremely varied. I wear many hats every day, from design to photography, emailing and marketing. I am very hands on and like to be involved in all aspects the business. My first ‘real job’ was a marketing assistant and knowing my young self, I imagine I would have worn something involving black and white, with killer boots. If I had to choose just one it would be Olafur Eliasson. He is a visionary sculptor and artist, with intriguing and calming mind. His work is inspirational to me. Instagram, Business Of Fashion and WGSN. I’ve taken something away from every decision in my career, so no regrets. I only wish I had the courage to listen to myself more when I was young, this is something I have learned to do with time and experience. Passion, integrity, maturity, drive and good conversation. Sleek boots and a sharp haircut. I take time out for a walk or run. I love to walk in the evening, it clears my head. Be clear and fair, and I think this goes both ways. A salad on some days, a burger on others. Don’t be too hard on yourself when you make mistakes and remember it’s good to ask questions when you don’t know the answer. I love to follow inspiring women like @tamumcpherson, @miraduma and @cturlington, as well as my favourite industry publications like @nytimesfashion and @bof. Morning means coffee, run and meditation. Evening means wine, a good book and emails. Look closely and you’ll find beauty in everything. We have some exciting new developments and concepts, which I can’t wait to launch this year. Want more career advice? Follow us on Pinterest.